MobTime Cell Phone Manager is user friendly PC software that helps manage your mobile phone via data cable, IrDA, or Bluetooth dongle. 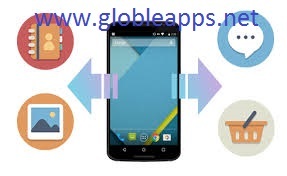 The software supports most famous mobile phones of Nokia, Samsung, SonyEricsson, Motorola, LG, and Siemens. With the software, you can manage contacts, calendars, and messages, send and receive messages, chat via messages like MSN and Skype, create own logos and ring tones, manage other multimedia files, such as MP3s, photos, E-books, and video, install Java games and applications, synchronize contacts and calendars with Outlook and Outlook Express, access Internet via GPRS connection. Check if your phone is supported at the developer's Web site. The version 6.6.5 may include unspecified updates, enhancements, or bug fixes. Click on below download button and download the file and start installation in your PC.